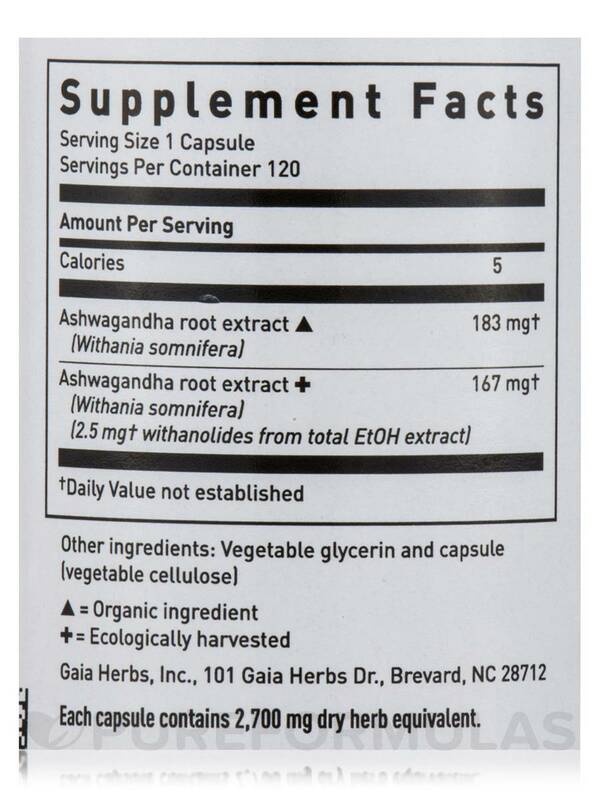 After much research I ordered Ashwagandha Root by Gaia Herbs and I was so pleased that I ordered again and again. 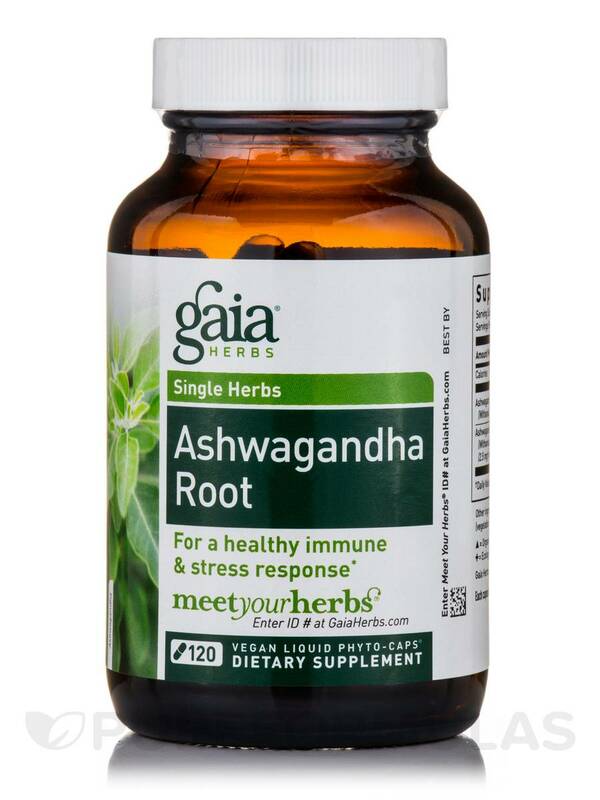 I like Ashwagandha Root by Gaia Herbs, some don't really do much for me. 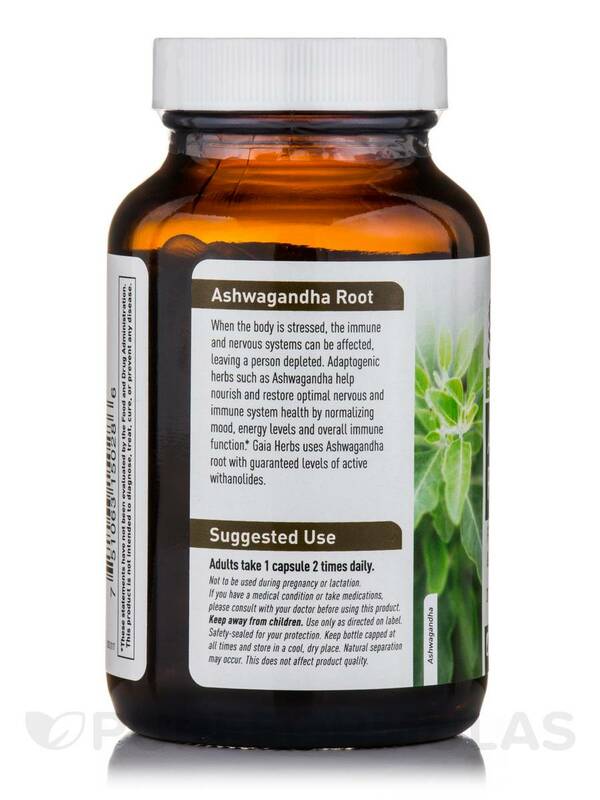 Gaia ashwagandha gives me energy during the day, helps my anxiety, and helps me sleep at night. When the body is stressed‚ the immune and nervous systems can be affected‚ leaving a person depleted. 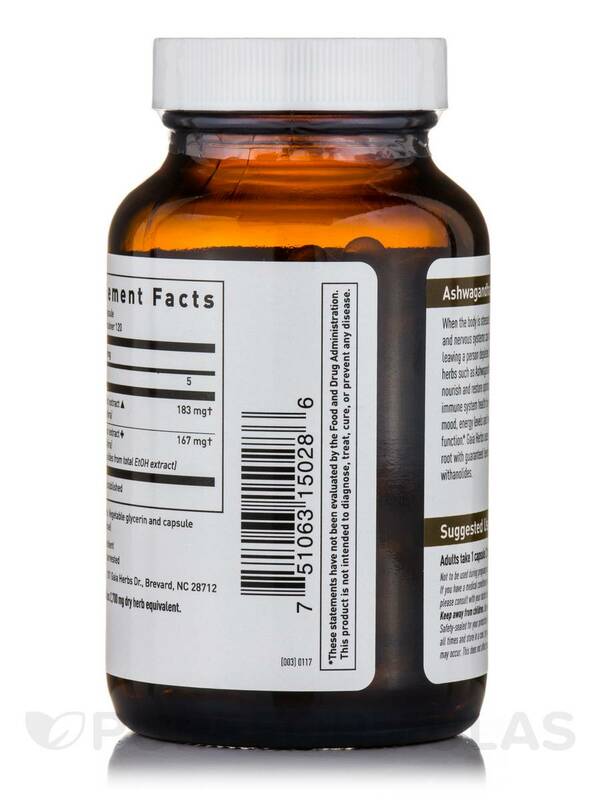 Adaptogenic herbs such as Ashwagandha help nourish and restore optimal nervous and immune system health by supporting normal mood‚ energy levels and overall immune function. 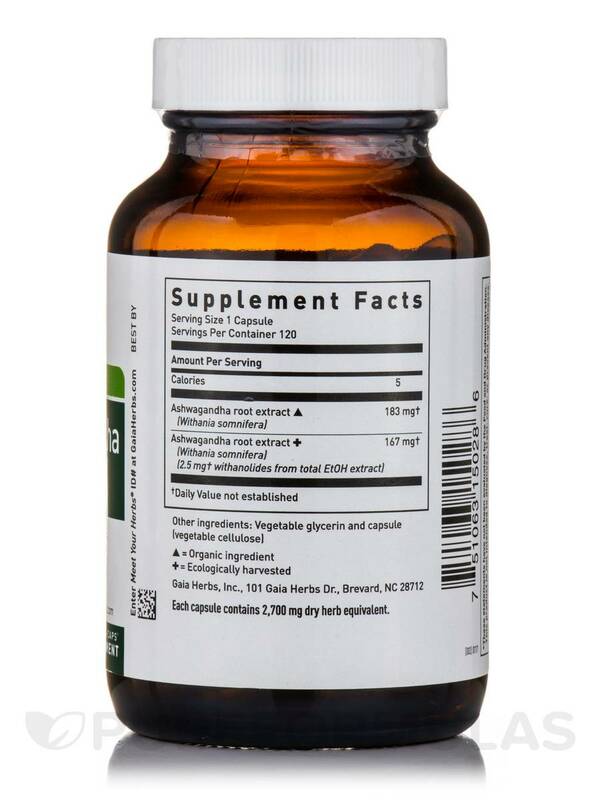 Gaia Herbs uses Ashwagandha root with guaranteed levels of active withanolides. Other Ingredients: Vegetable glycerin and capsule (vegetable cellulose). 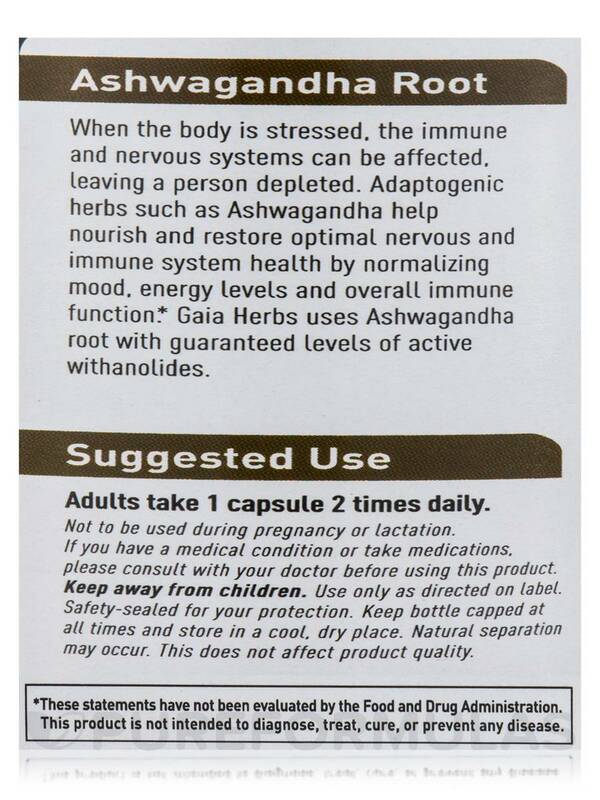 Adults take 1 capsule 2 times daily. Use this daily & experience benefits. Strengthens my system & energy.